James Read Sleep Mask Tan, for the face, is a sensational overnight tanning lotion that reveals a wonderful bronzed complexion whilst hydrating the face. Applied before going to bed, James Read Sleep Mask will gradually build colour meaning that the next morning your face is left nourished with a healthy, golden glow. If you prefer to apply a self tanning lotion that works with your individual skin tone then this is the product for you. The ground-breaking tanning agent this sleep mask contains ensures a completely natural finish. Mr James Read himself describes his Sleep Mask Tan as his 'beauty sleep in a bottle'. James Read Sleep Mask Tan Face should be applied to clean, dry skin. To build your colour, apply the mask every night before going to bed. Once you have achieved your desired shade, continue to apply but limit to twice weekly rather than nightly. James Read Sleep Mask Tan builds colour gradually so on application you won't experience an immediate tan, the morning after however you'll witness your new glow in all its glory. This hydrating and self-tanning face mask doesn't stain the bed sheets as the cream is clear when you apply it. Overnight, the tanning agents will subtly colour the skin with a healthy, glowing bronze sheen that looks natural, healthy and free from orange tones. 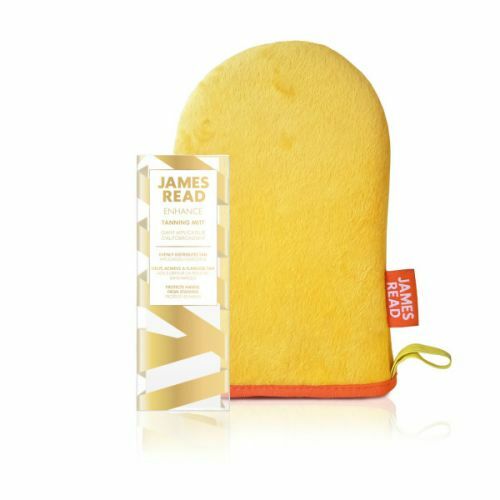 James Read Sleep Mask Tan is suitable for all skin types and perfect for daily use. Apply a small amount of James Read Sleep Mask Tan onto the finger tips and massage onto the face. Work it into the hairline and around the contours of the face. Wash hands after use. Use twice weekly to maintain a healthy glow. so easy to use, put on going to bed and wake with a glow. This is totally amazing. I'm so impressed with the colour and the fact that my pillows don't get stained. Go James Read Tan! Simply amazing. I just love this stuff. I'm loving the sleep tan process. I don't apply it with the mitt I just use my hands and it still looks amazing. It's like your own personal tanning fairy expert that works whilst you're asleep. James Read, what a legend!